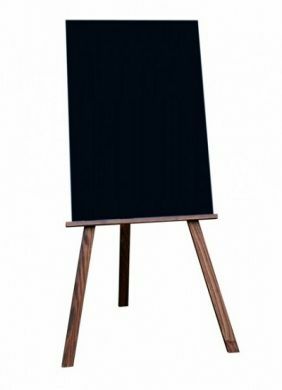 Standing easel with blackboard 3 level adjustable height, display a board securely at the perfect height. Double lacquered durable solid pinewood. 3 Level adjustable height display board. Double lacquered durable solid pinewood. Locking bar prevents accidental collapse when open. Easel height 1450mm x width 740mm. Board height 900mm x width 600mm. 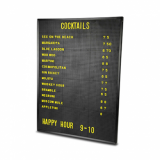 Ideal for interior or exterior use.